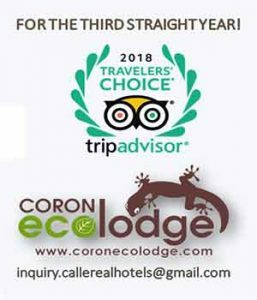 Where is Coron Ecolodge located? The hotel is located along Real St. which is at the heart of Coron Town. Since the town is not that big, all commercial establishments are within walking distance from the hotel making all your needs accessible and easy to get. How far is Coron Ecolodge from the Busuanga airport terminal and how long does it take to get to the hotel? It’s about 30 kms away and it takes about less than an 1 hour to get to the hotel from the airport terminal. What commercial airlines travel to Busuanga?